Can I be helped to find my first job? How do I apply to a shift? Can I restore an application? Yes that is possible. Recover your applications by responding to the same shift again. When will my registration be approved for a shift? We ask the clients to accept freelancers 24 hours before the shift begins at its latest, preferably earlier. Why can I not apply to a shift? You have to register as a freelancer and can’t respond to this particular client as your first shift or as a replacement. Why can I not see a shift that I want to apply for as a replacement? What should I pay attention to when applying to an assignment? What does 'your experience is not sufficient' mean? What is the cancellation policy for a shift? The cancellation policy could be 24, 48 or 72 hours. What if I want to work without being accepted via the platform? You will only be able to work the shift once you’ve applied through the platform. Can I respond to multiple shifts that occur simultaneously? Yes that is entirely possible and will increase your chances of getting a shift. Temper is not the client you work for. 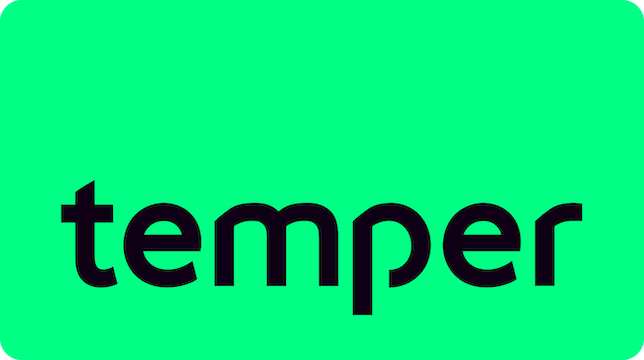 In which areas can I work as a freelancer via Temper? Provinces Noord-Holland, Zuid-Holland, Utrecht, Flevoland, Gelderland, Noord Brabant and Limburg. What obligations do I have with respect to a client? A rating cannot be altered once the check-out has been completed. Why can I work for a client only 660 hours a year? This rule has been called into life in agreement with the Belastingdienst. Do we also get a part of the tip? Only when you can she the “share tip” badge on the shift description page. How can I withdraw an open application? Why is my registration changed to 'cancelled by you', while I did not do this? You’re other shifts have been cancelled because you’ve already been accepted to another shift or because you need a VAT-number. How can I sign myself off a shift? Cancel shifts without consequences following the cancellation term. How do I arrange replacement? What if I can not find a suitable replacement? What am I entitled to when I have been sent home earlier? What if the client asks me to do other work than the one described in the briefing? Can I be added to the Whatsapp group to promote my link for replacement? How can I checkout for a shift? You will receive a message on the platform that you need to complete the check-out for the shift you just finished. When do I have to complete my checkout? You have up to a week to complete your check-out. When will my checkout be approved? What if there is a disagreement about the checkout with the client? Get in contact with the client to clear up any misunderstandings. I have filled in wrong checkout times, what now? Request the client to reject your proposal and submit a new one. Is the client able to see the rating I have given? A group of freelancers that function optimally in their role at a specific client. The client should cancel your shift on the platform. What am I entitled to if I have been canceled outside of the cancellation period? You can claim 50% when your shift got cancelled outside of the agreed on term of 24, 48 or 72 hours. How can I claim 50% if I have been canceled? Your attendance percentage will decrease and you cannot apply for shifts anymore until you pay the €100,- fine. Can my no show be removed? I paid a no show, when can I apply to shifts again? The system will process your payment automatically. After this you can proceed on the platform within maximum one day.